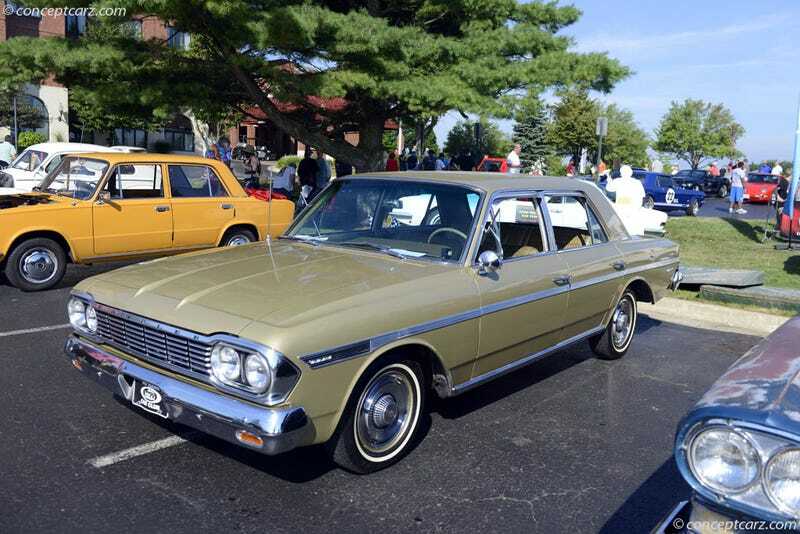 A ‘64 Rambler Classic four-door. Sky-blue. I think the (crazy) owner is trying to get five figures for it, which... most likely no. Still, though, don’t see them that often. He thought it was a Falcon at first.